From March 25 to March 29 takes place the 45th meeting of the Asia-Pacific Advanced Network (APAN) in Singapore. 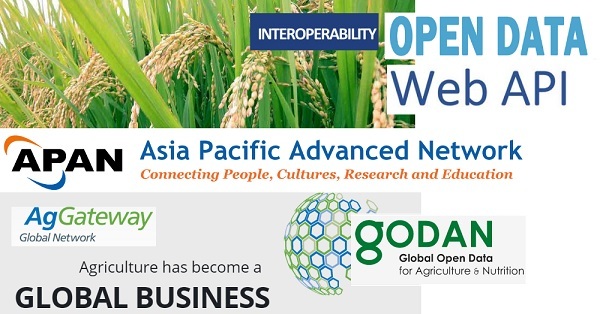 In the context of the APAN meeting the AgGateway Global Network, GODAN and the APAN Agriculture WG are organizing a joint session on Web API, Open Data and Interoperability. Access to field and farm data becomes always more important for agricultural research. Collaboration between equipment producers, research and farmers is necessary. The session should assess the state of the art at this time and formulate requests for actions to improve data interoperability through common standards and agreements.